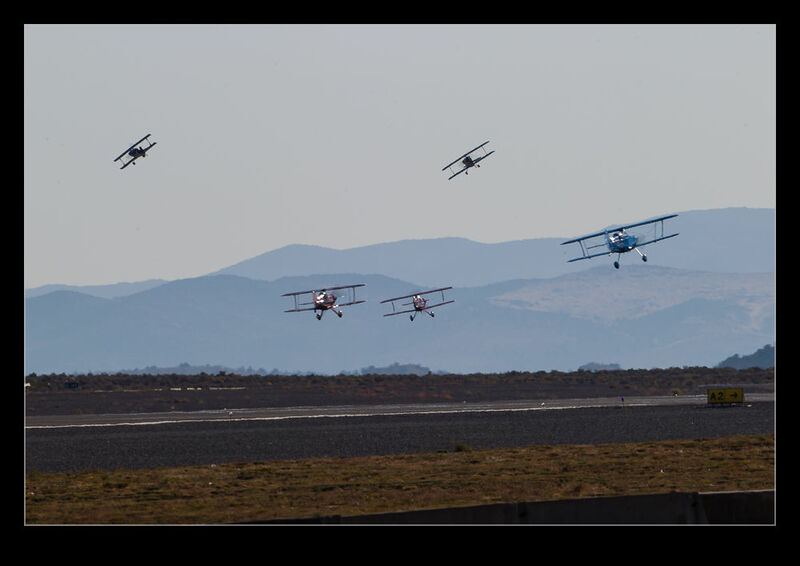 The National Championship Air Races recently took place at Reno NV. This was my second year covering it and the 50th running of the races. 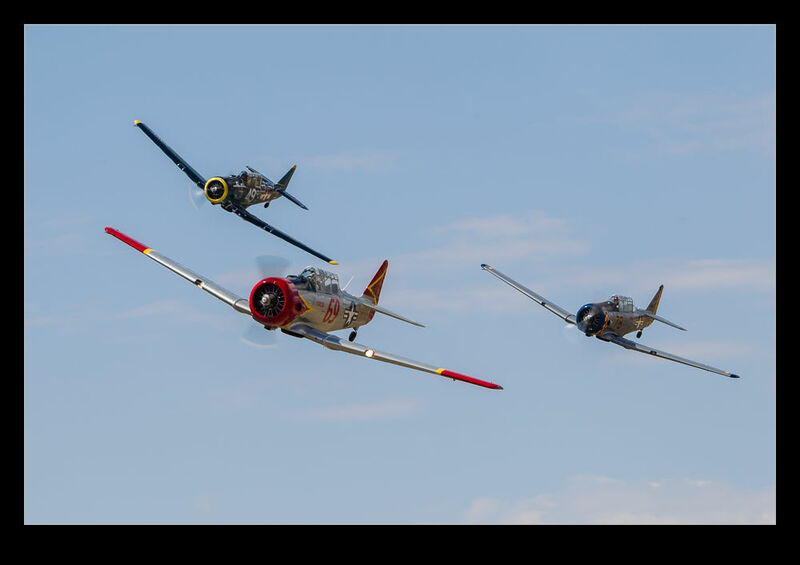 Before I go too much further, here is the link to the article I wrote for Global Aviation Resource so, if you want a rundown on how the event went, that is a good place to go. It also has pictures but you don’t need to go there for them since I am about the share a bunch of them here too! 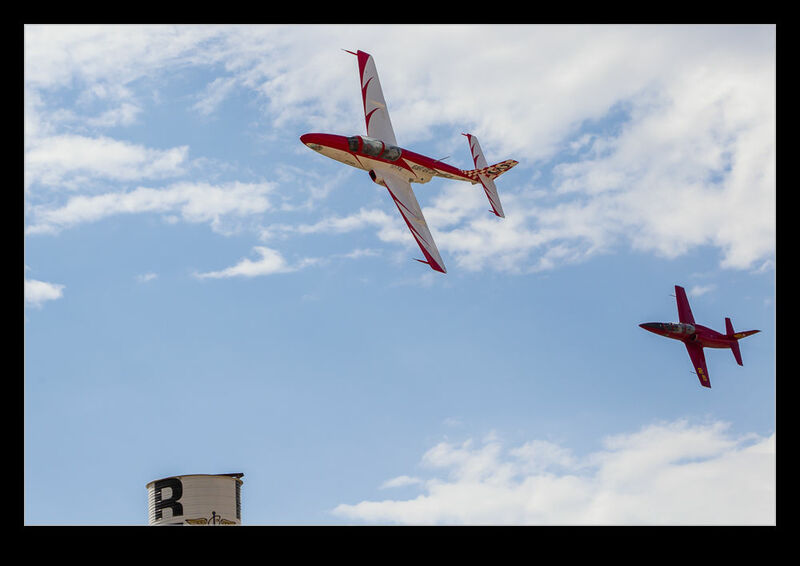 Reno is a very interesting event to shoot. The organizers go to a lot of effort to host the media representatives. Given how many of us show up, this is no small feat. They provide a center for us to base ourselves out of, breakfast and lunch each day (this year sponsored by Nikon), buses to take a selection of people out to the pylons each morning and afternoon, access to most places you could want to be and a team with golf carts who will run you to wherever you want to go (provided you can find them since they are kept busy!). The parts of the show are very interesting in themselves. Exploring the pits is a great thing to do. The main pit area has the Unlimited racers and the T-6s. The jets are at the far end of the field and always seem isolated to me. 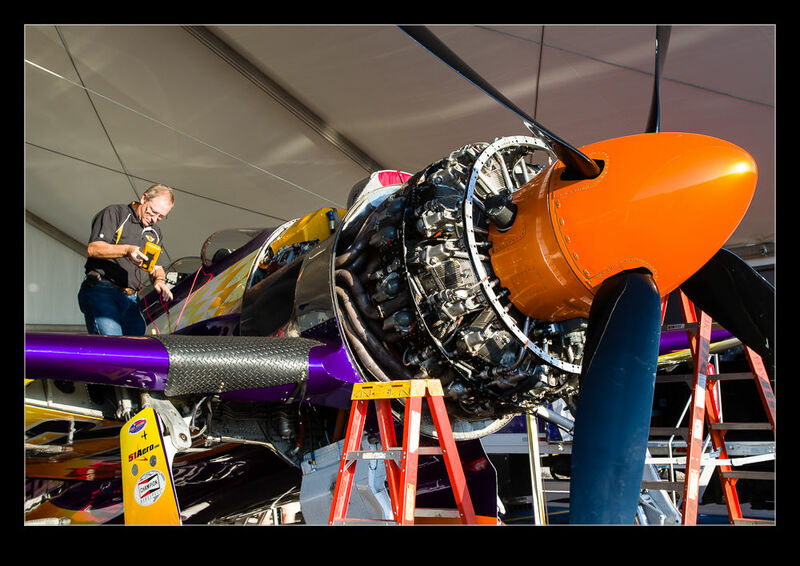 However, more fun can be had walking through the hangars for the Sport, Bi-Plane and Formula One classes. Here you will see small teams of people beavering away on their pride and joy. With a lot less people coming through, you can get a lot more access to what they are doing. When it comes down to it though, the racing is what it is all about. Shooting from the pits and the stands is fine and it gives a certain perspective on the races but shooting from the pylons is something else. Being right inside the turn as aircraft zip by at high speed and low altitude is really impressive. Sometimes you want to just stand and watch rather than see it all through a viewfinder. However, the races are not long and, if you have a variety of shots that you are looking for, you have to get them quickly. Moreover, sometimes you need to get in the groove. The slower types are easier to calibrate yourself for but the jets and the Unlimiteds are really motoring and you don’t have much time to get in practice. You may want shots of everything but there are certain planes that you know are going to be required for coverage and whether you get them looking good, in good light and sharp in the brief windows available is a combination of practice and luck – plenty of the latter in my case! It is a fun event to be at and one that will leave you pretty exhausted. Getting there early for the sunrise lighting and being around to get whatever opens up at the end of the day followed by downloading everything and cataloging it before cleaning your gear up – that dust gets everywhere – charging anything that needs charging and also remembering to eat and suddenly the sleep feels awfully short. It’s only a few days though. Is there somewhere else you would rather be? 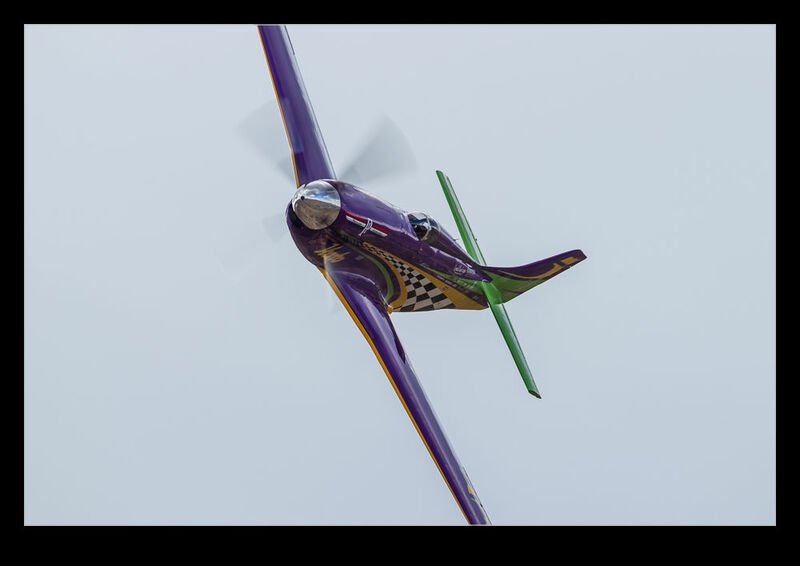 This entry was posted in Air Shows, aircraft, photo and tagged air, aircraft, airplane, Championship, national, nevada, photo, races, reno. Bookmark the permalink.